Industry welcomes government decision to put safety first and maintain the initial MOT test at three years for new cars. When asked if the date of the first test should be moved from three to four years, just 444 respondents said yes compared to 1,251 who said no. Government plans to extend the MOT exemption period for new cars have been scrapped, it has today (Thursday 18, 2018) been announced. It follows a consultation which the Department for Transport received 1,970 responses the majority of which did not support the proposal to move the first MOT from three to four years. A government commissioned populus survey of people not working in a motor vehicle garage or MOT testing similarly fell short of majority support for the proposal, with just 43 per cent favouring the change. The consultation outcome noted that potentially unsafe vehicles could remain on road for another year without examination and the government has therefore decided to maintain the current position of a first MOT being required after three years. 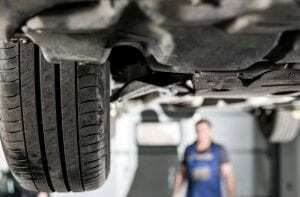 Devolution, Jesse Norman said: “After careful consideration, I have decided not to proceed with the changes proposed to the timing of the first MOT test. “Great Britain has a comprehensive testing system for vehicles which makes an important contribution to road safety. “The changes proposed had potential for both benefits and risks, and after due consideration I do not consider it right to take them forward at this time. Consultation respondents noted a significant loss of revenue for MOT approved garages if the proposals were to have been implemented. The government said it will continue to take this into account in any future decision making.